The 8th BRICS Summit will be held in the western Indian state of Goa in October. “I am glad to announce that the next BRICS summit will be held in Goa on October 15-16, 2016,” Indian Foreign Minister Susham Swaraj said on Tuesday. The last BRICS Summit was held in the Russian city of Ufa. 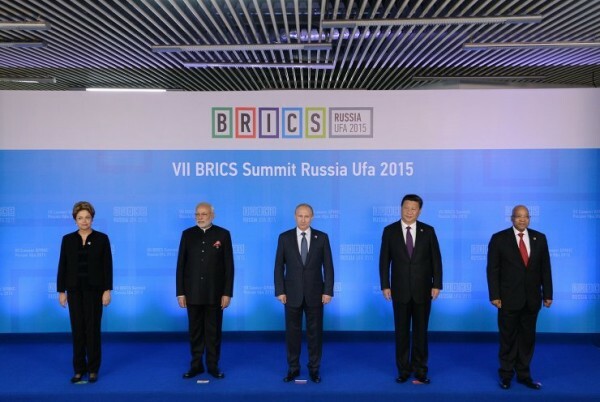 India assumed chairmanship of the BRICS on February 15. The Indian Foreign Minister unveiled the logo for India’s BRICS presidency in New Delhi. Over fifty ministerial and official meetings and events will be organized through the year. “Building Responsive, Inclusive and Collective Solutions is the core-theme for our BRICS Chairmanship with a special focus on institution-building, implementing past commitments, and exploring innovative solutions in a spirit of continuity with consolidation,” said a Ministry of External Affairs statement on Tuesday. “People-to-People interactions, business, youth, and sports will be the key priority areas for our BRICS Chairmanship,” it added. The BRICS New Development Bank will name its first investment in April and the first loan will be issued in yuan not dollar, top officials confirmed. The biggest emerging economies launched their New Development Bank in Shanghai in July last year. The popular coastal state of Goa, with its long sandy beaches, has long been a haven for millions of tourists drawn mostly from the West. The core theme of bricks seems to be interesting and we are expecting a good game change in the industrial sectors. Am very much interested in attending the Summit for the first time, this year. Looking forward to hearing the important points for businesses and more developments. Can more information on how to register to attend the BRICS Academic Forum in Goa be kindly provided?